Smarter Urbanisation is an experimental initiative of Dr Nicholas Falk and the new URBED Trust to transfer good practice and encourage innovation in sustainable development through support to SCAD (Social Change and Development) in Tirunelveli in Southern India. The support includes funding a project team, and the design and construction of a number of experimental houses. This website will continue to expand, and will draw lessons from across Europe so they can be used in training courses and provide access to additional sources of expertise. The SCAD Eco-House nears completion Construction began on the first Eco-House early summer this year, and is nearing completion. View the SCAD Eco-Houses page to see the current progress along with the methods that are being used! 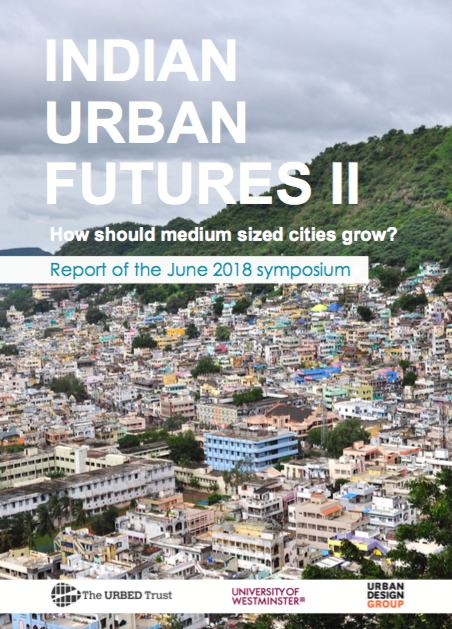 Indian Urban Futures II: Report on the symposium Following the successful second Indian Urban Futures symposium, the results of which are outlined in this report, we must now ask how we move forward. 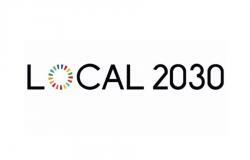 How can we begin to translate innovative ideas and small-scale initiatives into solutions at the scale of the problems we face? This report explores the ideas from our speakers, as well as presenting our Emerging Manifesto built upon the two previous IUF events that will guide our work over the coming year. Be The Change This short film named Be The Change is a further step to improve the quality of life for people from the the Southern part of Tamil Nadu. 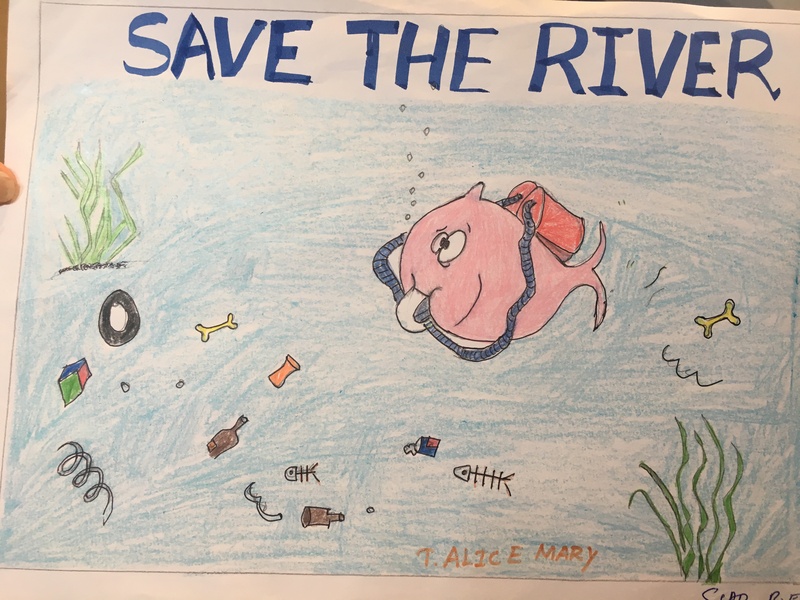 The film produced by artist Maxine Relton shows the work of female students at some of SCAD’s higher education colleges to tackle declining water quality as a result of businesses and people polluting the main river that runs from the Western Ghats on which so much rural life depends. 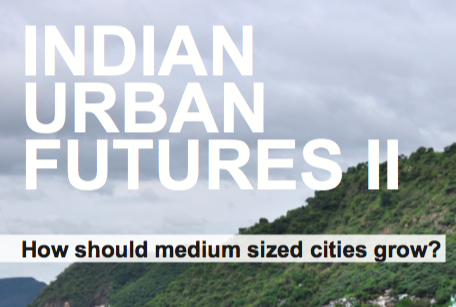 Indian Urban Futures II: How can medium sized cities grow? 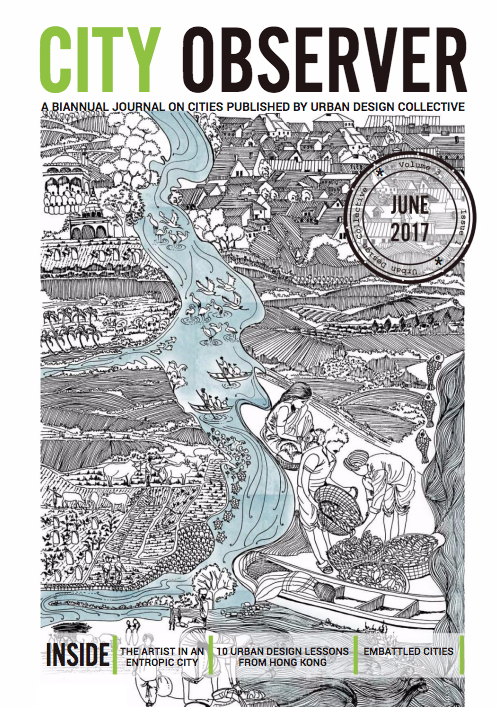 A second Indian Urban Futures symposium has been announced in collaboration with the Urban Design Group and Westminster University for the 31st of May. This symposium follows up a highly successful event a year ago, and will draw together practitioners, researchers and others with an interest in sharing good practice with cities undergoing rapid growth. The theme this year is on ‘Going to Scale’. Programme and ticket information can be found here. Dr. Nicholas Falk hosts a workshop at the UK’s National Urban Design Conference On the the 8th of September during the National Urban Design Conference held in Manchester, UK, Dr. Nicholas Falk will host a workshop and presentations on Asian Cities Routes to Smarter Urbanisation featuring the Urban Designer and Researcher Rowan Mackay. Future Profing India’s Medium-Sized Cities Dr. Nicholas Falk features in the latest City Observer journal, produced by Urban Design Collective – a non-profit organisation working as a collaborative platform to promote livable and sustainable cities through community engagement. The essay iterates his thoughts on the potential of action planning Garden Cities in India. 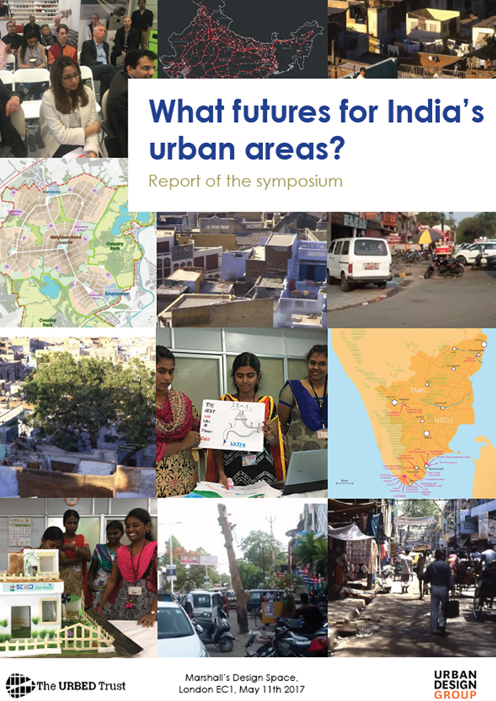 Indian Urban Futures I: What Future for India’s Urban Areas? The aim of this symposium was to generate interest in creating new forms of affordable housing in medium sized cities facing rapid growth in the Indian sub continent, and to draw out ideas for future work to connect Indian and British cities. Some 40 people took part, including many urban designers with Indian backgrounds or connections. Follow the link to read the report of the event. As the world’s water needs grow so is concern that we’re rapidly using up supplies. How worried should we be? This Guardian article explores the recent water shortage in Cape Town, and the cities next in line to be hit with crisis. Professor Rajat Gupta of Oxford Brookes University secures a major research grant to help support the improvement of living conditions for millions of citizens in India. 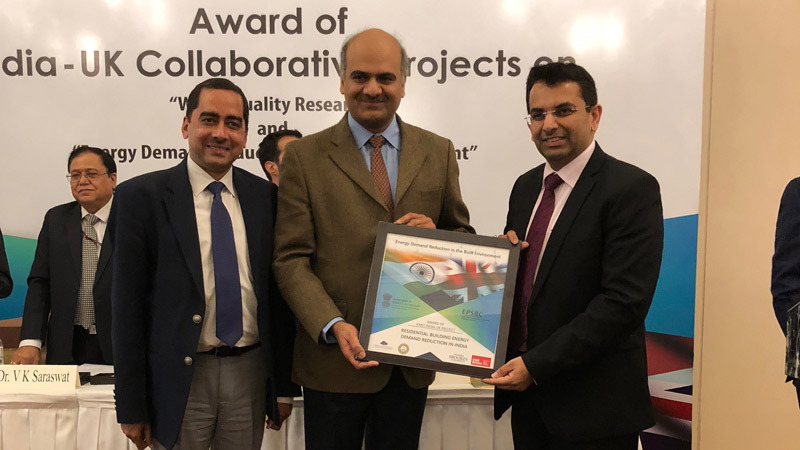 The project, entitled Residential building energy demand reduction in India (RESIDE), aims to establish an empirical knowledge base to develop a residential building energy code for high-quality, low-energy housing across all five climatic zones in India. 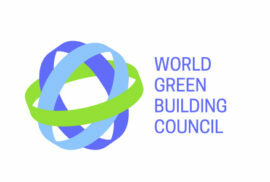 The World Green Building Council announced a partnership with the China Green Building Council on Monday that could have significant repercussions, considering that China is the largest building construction market in the world with up to 20 billion square meters constructed annually. Village, a Country and the Discipline: economic development in Palanpur over seven decades. What can insights from seven decades of research in Palanpur tell us about economic development, inequality and prospects for India? This recording of a lecture at the LSE brings together experts from many LSE departments and centres to bring insights into current cutting edge research into the Indian economy. Find out about why SURGe was started, the context of the problems it aims to tackle, and the organisations that will be involved. 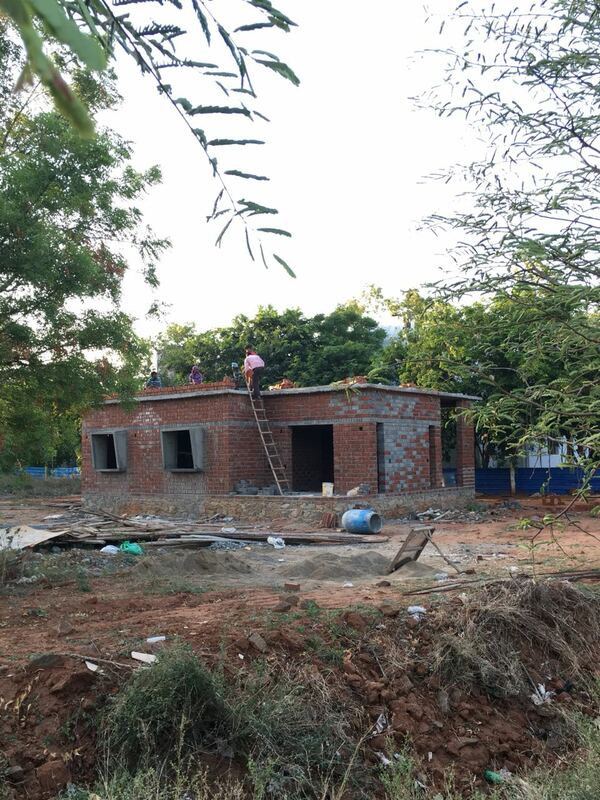 Learn about the experimental eco-houses SURGe plans to develop in Tirunelveli, and the 7 innovations that they will utilise. Access case studies and reports showcasing the best practice found across the world for achieving sustainable and innovative design. Keep up with the progress of the SURGe project, learning what has been and past, and what is still yet to come.